When I was in fifth grade, I got invited to a sleepover, and I was nervous. I tended to get homesick; even on nights when I was sleeping next door at my best friend’s house, I was known to call my parents to come walk me home. It was a problem. But, I was determined to survive this time! 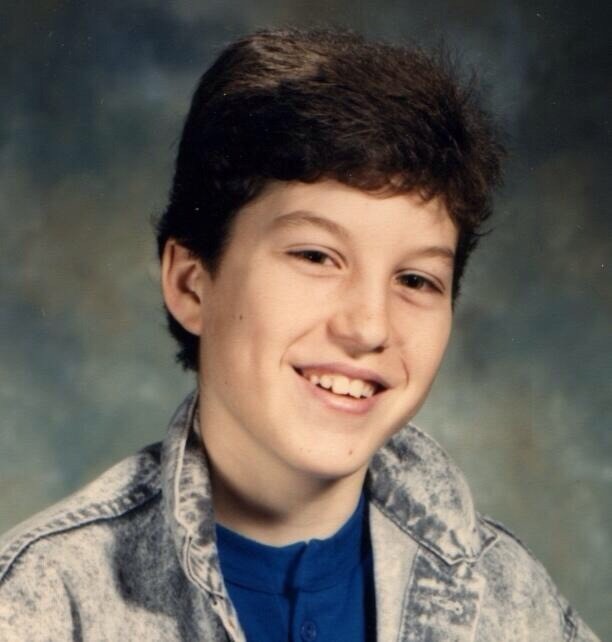 Everything started out fine; we watched The Lost Boys, which, aside from The Karate Kid, was probably my favorite movie when I was younger (and not merely because I looked like Corey Haim – see picture, try not to swoon, fail miserably) and played Coleco. So far so good! But then the other guys wanted to play flashlight tag, outside in the dark, in a huge yard I was not familiar with, and I felt my homesickness rising up inside me. Things were suddenly going haywire. Then someone announced that we were going to have pizza for dinner! With the promise of every kid’s favorite meal in mind, I was able to gut through a scary, harrowing game of tag in the pitch black darkness and make my way back inside when the pizza was ready. The sleepover continued without incident and I survived the night. All thanks to pizza! No joke, pizza is a powerful thing. Not only did it help me overcome homesickness, as a parent it’s become something of a secret weapon. When I’m struggling to get my son to eat something, to eat anything, I always know I can whip out some pizza and he’ll chow down. And there is literally nothing more convenient than throwing a frozen pizza in the oven when my kid is giving me grief about dinner. It’s ready in ten minutes, he’ll eat it, and there’s usually some left over for me. 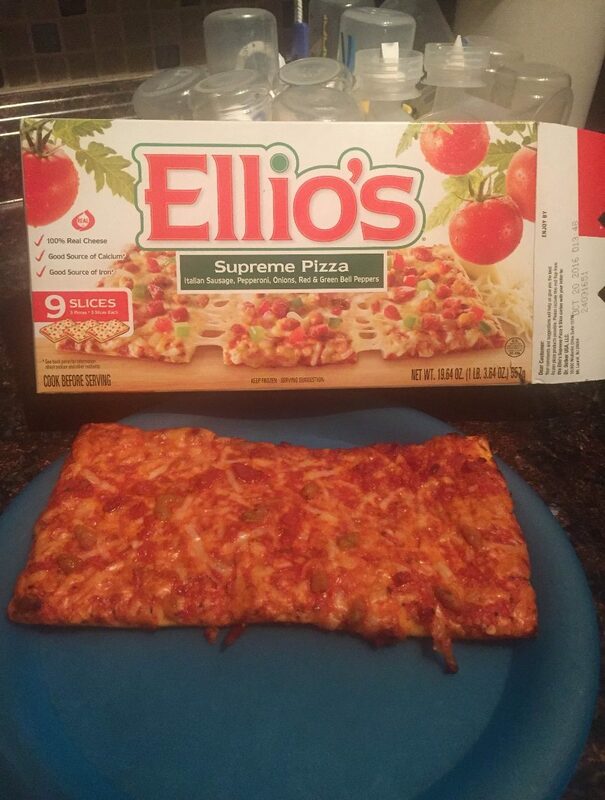 Recently, in a pinch, I made the two of us some Ellio’s for dinner (they have six flavors, but my son always demands pepperoni and then REMOVES the pepperoni because kids are normal! ), and once again, pizza induced my #pizzastalgia. 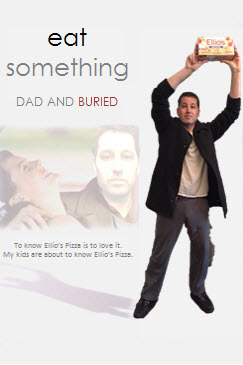 I ended up regaling my son with stories of how I used to eat Ellio’s as a single dude in Southie, when I was broke as a joke but always managed to have enough money for pizza. Ellio’s is sold regionally and thank God it was available in Boston because I lived on it for a good year. Seriously, there were nights when the only things in the kitchen were a couple of boxes of frozen pizza and a six-pack. A tasty snack you can cook in the toaster oven – no cleanup FTW! – was the perfect way to quickly fill my stomach before a night of bar-hopping. Find out where you can score some Ellio’s with this handy store locator and help your kid overcome his homesickness with some frozen pizza! Disclosure: This is a sponsored post on behalf of Life of Dad and Dr. Oetker USA LLC. I have received compensation for this post; however, all opinions stated are my own.